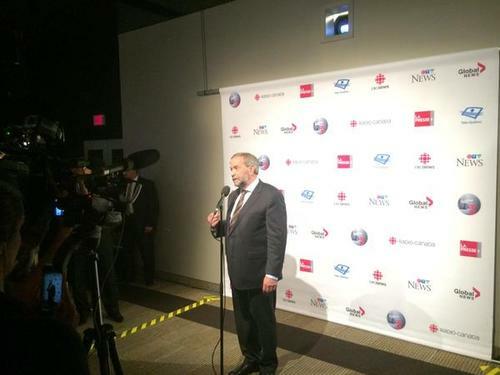 Mulcair: we left Kyoto because of Harper. And the Libs didn't do anything either. 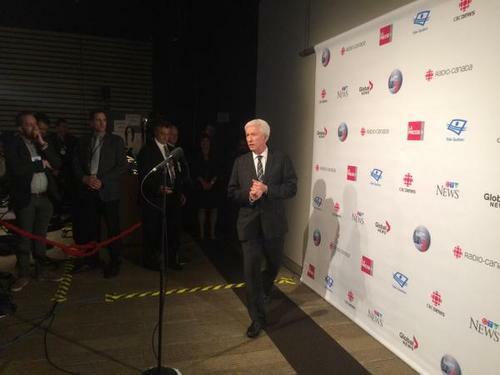 Ok, that was good by Duceppe. 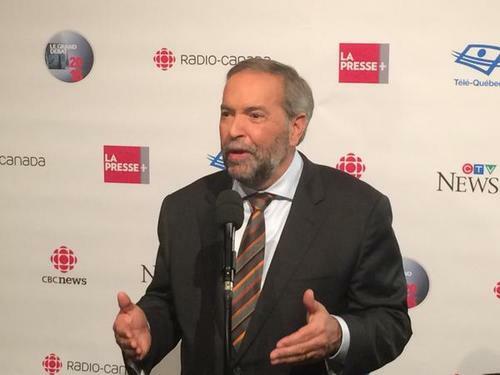 Does Tom Mulcair ever talk to Thomas Mulcair? 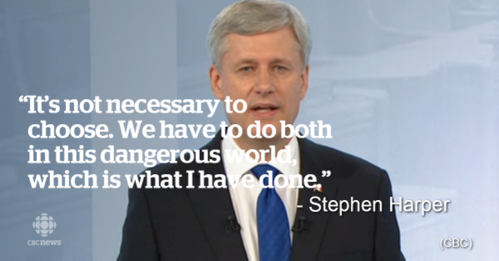 That was a tough one for Harper there on climate change. 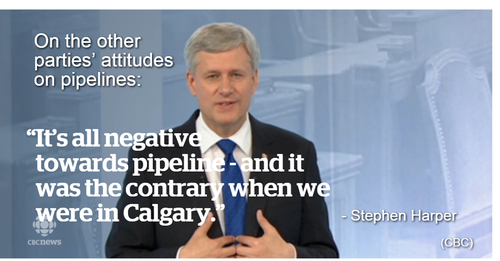 Harper: pipelines are safe, but the govt has a scientific process to evaluate it. May's French is starting to wane here. 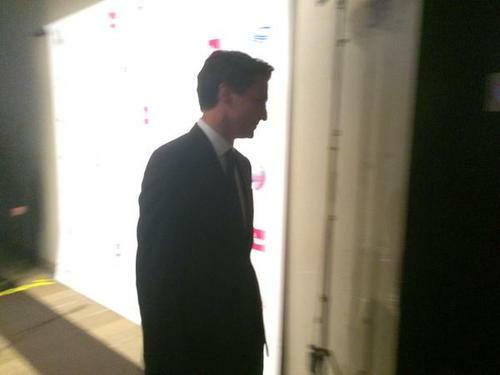 Oh here go...Trudeau says Mulcair wanted to export water in in bulk. 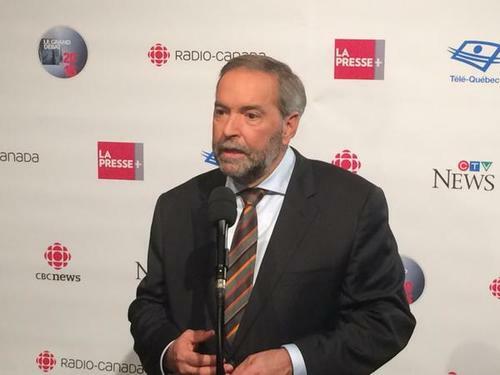 Mulcair to Trudeau: I kept the restrictions. You don't understand how to debate because someone writes your lines. 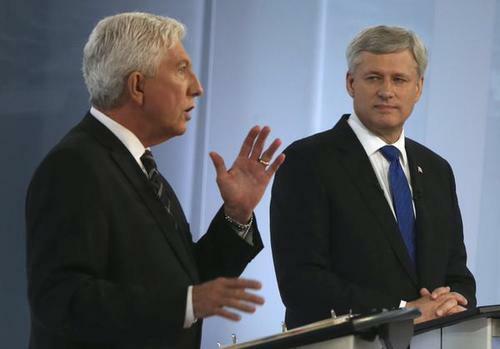 I had no idea Duceppe was such a hawk. 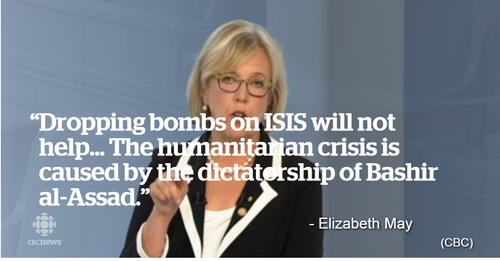 Good news though, AT ISSUE is on @CBCTheNational . It's like the ORIGINAL power panel. 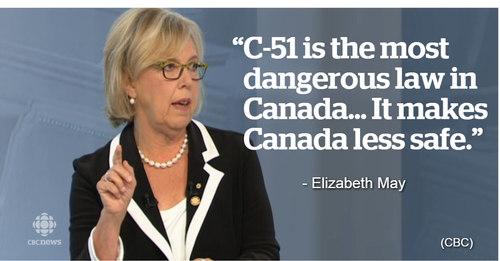 Mulcair: Trudeau voted for C-51 because he was scared of Mr. Harper. 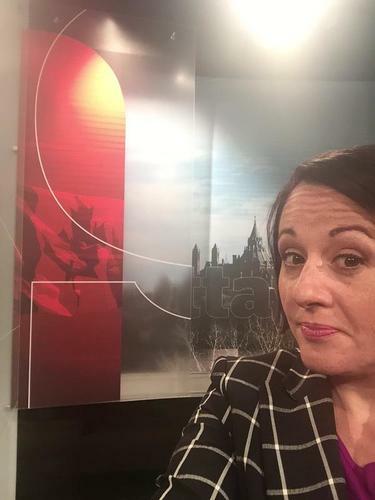 We want to know what you thought of tonight's leaders' debate - was there a winner? 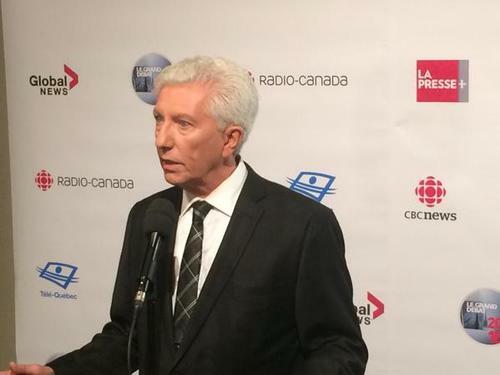 Take CBC's Vote Compass survey to find out where you stand on the issues in the campaign - and tell us who you thought won tonight's debate as well. 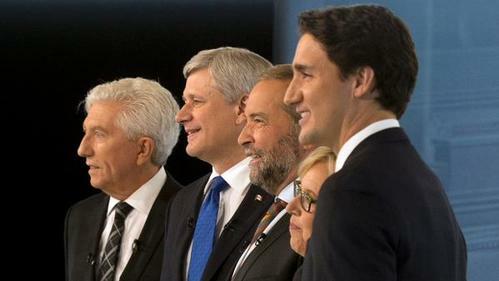 The five main federal party leaders are meeting for the first French-language debate between 8 p.m. and 10 p.m. ET. 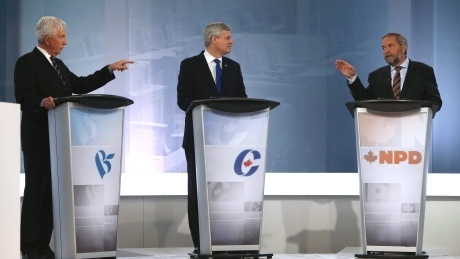 Watch the debate in simultaneous English translation right here. oh good. At Issue. This will help me. 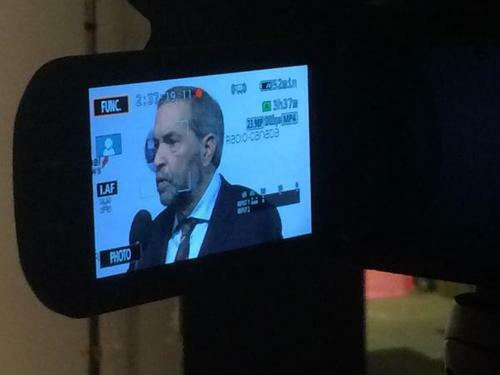 Tonight's French-language debate quickly devolved into a series of heated shouting matches, with the five party leaders battling over issues including the economy, the Senate and the question of the niqab and whether government services should only be given to those who reveal their faces. 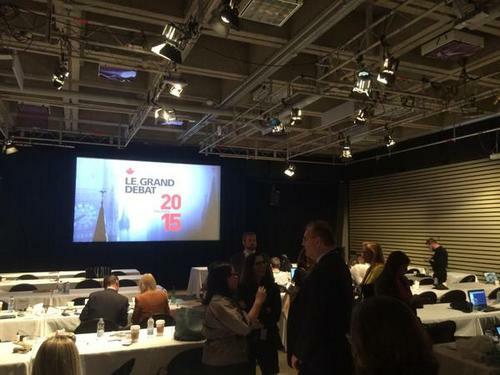 Were the English debates this rushed? 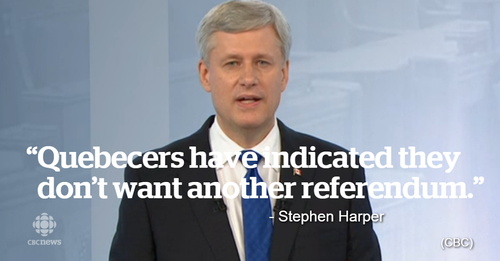 It needs to be said, this, the promoted Quebec language debate is the most uncontrolled discussion... I have ever witnessed. Please share with me, how anyone could follow this garbled presentation of thought? I am watching it. In this moment, I can not follow it, as every participant speaks with out recognition and respect of the other. If we all try and talk "over" the other, if our politicians, the very leaders of our society, can not present thought in a more respectful and controlled manner... how can anyone, any group, any province within the collective needs of a nation, possibly hope to move forward? 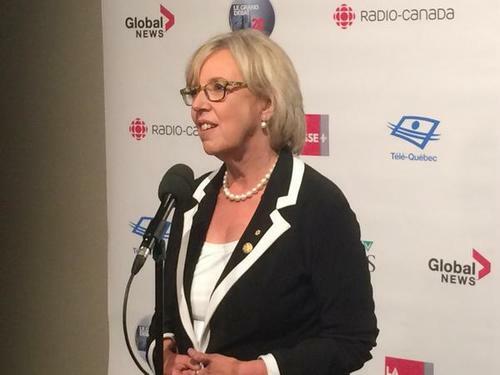 We are Canadian, a nation of people, respected globally, who need to hold our elected representatives to standard that is higher than that which we witnessed this evening. 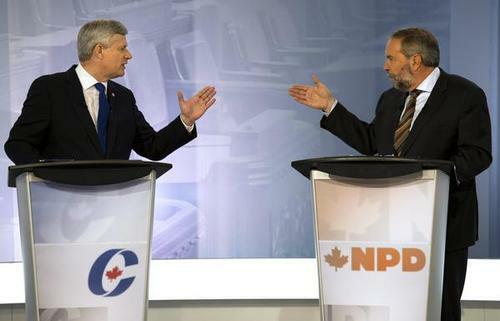 It hurts to see Harper simply sitting back and allowing the left and centrists to tear each other apart. 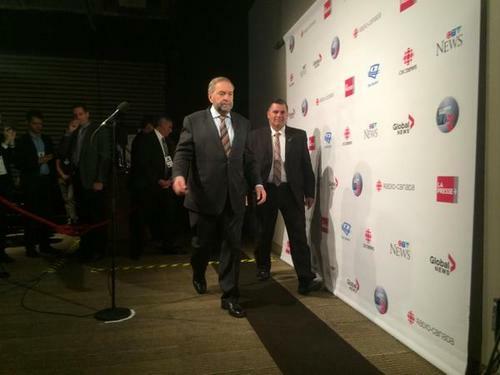 Mulcair is very forceful en francais quand il parle de 50%+1. Seriously! I wish you people would LISTEN to the questions and ANSWER the questions that are asked. 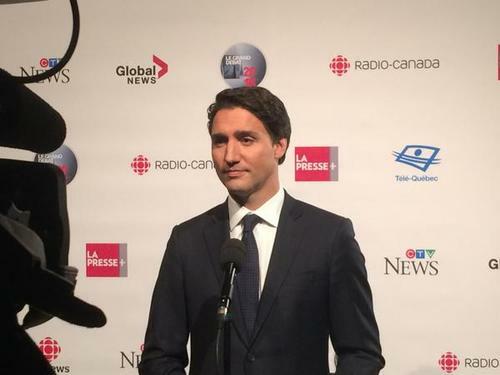 I am tired of hearing about how the Liberals are going to stop sending milllionaires cheques, I am tired of hearing that 'most Canadians' think....., you are NOT listening to the questions and you are not listening to Canadians! 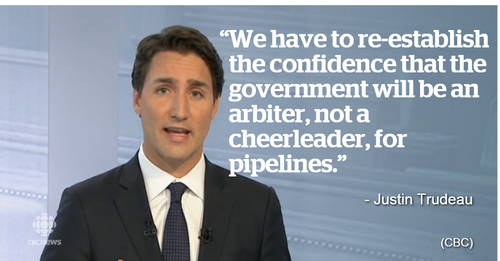 What none of the leaders is saying out loud is that due to the FTA/NAFTA Canada is not ALLOWED to refine its oil products nor is it allowed to lower the price of gas for its own citizens! 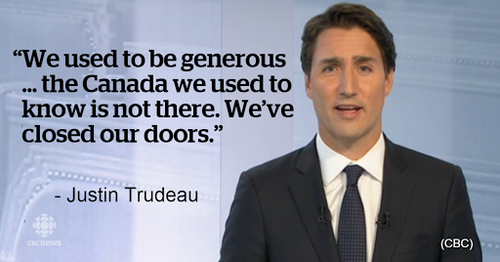 Say what they may, but I appreciate Trudeau's consistent message. 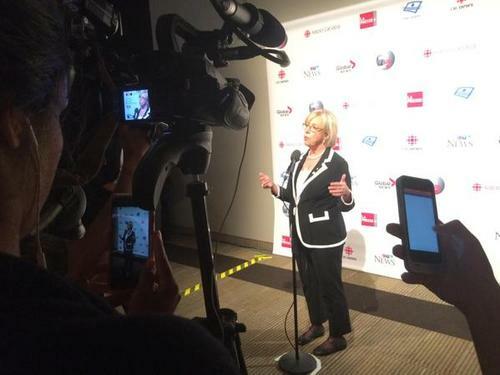 plaisant de vous entendre ! Well, I think we can all agree on the last point from Bird's Hill Bob.